You can now navigate to this website by entering karlskorner.org in your browser. Not responsible for results at lower resolutions. A NEW BROWSER WINDOW WILL OPEN. CLOSE TO RETURN HERE. Please feel free to use any of these banners to link to this site. Rt-click on image and save to your computer. Please, DO NOT, under any circumstances, link to anyone else's web site for graphics or any files. Save the file to YOUR computer (if you have permission to use them) and upload to YOUR server. Courtesy and common sense can go a long way. When it comes to bandwidth, size does matter. I have downloaded and edited an HTML version of my OLD Guestbook. To view it please go here. Lycos HTML-Gear has stopped supporting its Guestbook and is no longer available 4.15.12. If you signed that one, please sign again. YOU WILL NOT SEE YOUR ENTRY RIGHT AWAY AS I HAD TO PUT THE GUESTBOOK IN MONITOR MODE BECAUSE OF SPAM. 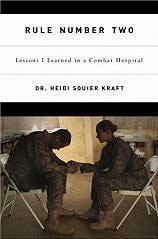 I highly recommend this book by Dr. Heidi Squier Kraft. Please visit her website and find out for yourself. Check to see if you are eligable for benefits. Read my story here . I received an email today, 5 April 2008 from Rocky Rankin, former Australian Navy and Vietnam Vet. Rocky and I have been corresponding for many years and he has asked me to pass along information about this website to viewers of my webpage. I do so happily. [Email Message] "This website is about the work my fellow member of the Vietnam Veterans Motorcycle Club does when he can get over to Cambodia. He pays for a lot of his equipment out of his own pocket as well as paying his own way to get there and while he is there. We have tried to give him money towards his expenses but he just hands it on to the people he is working for in the country. The website explains it rather well and he has a link for donations. Could you please pass this site around so that people can get to know about his work and support him with donations?" This Tonkin Gulf Yacht Club site owned by Kman.